Some Acellus teachers have reported having difficulty reading the longer Course Descriptions of Acellus courses due to the limited time their browsers display the “mouse-hover” text. 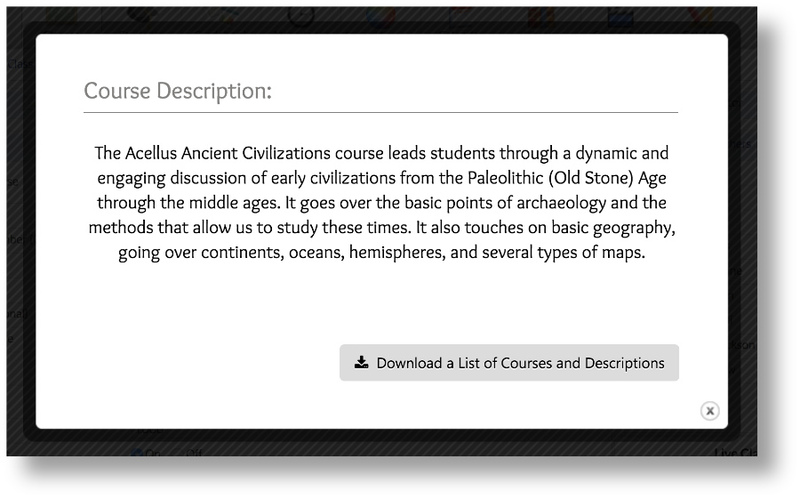 To solve this issue, Acellus now provides these course descriptions in a pop-up. The ‘Info’ button that before was only “hoverable” is now “clickable,” giving teachers ample time to digest the course information. 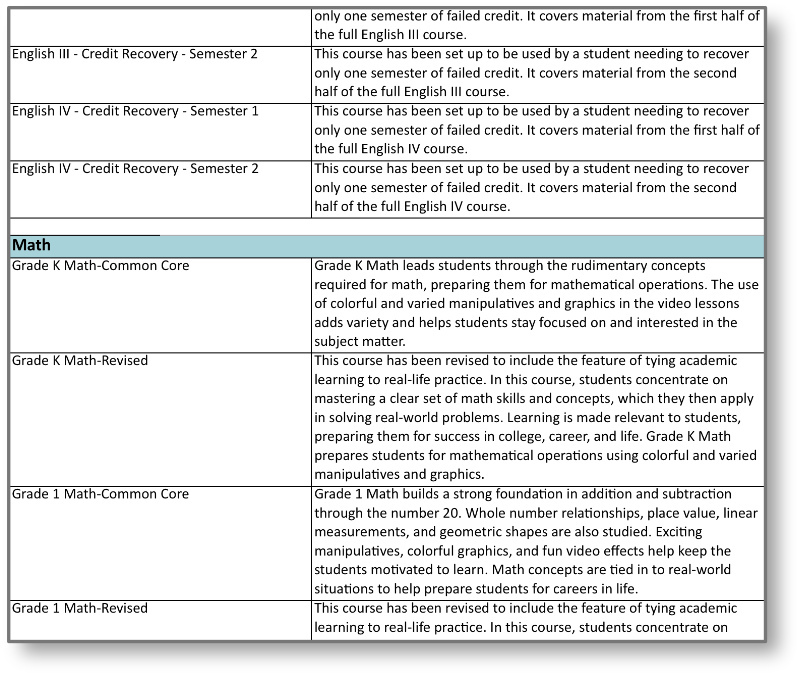 In addition, a button at the bottom of the course description allows teachers to download a complete spreadsheet of all the currently available Acellus courses, along with their course descriptions. The list is organized by subject and empowers teachers to more efficiently plan and implement the best courses for their students.